I want to introduce you to someone. Or “re-introduce,” because you may already know her. In fact, you probably do, because I know I’m not the only person who has been impacted by her voice, her presence, and her leadership at some point during the last almost-twenty years. 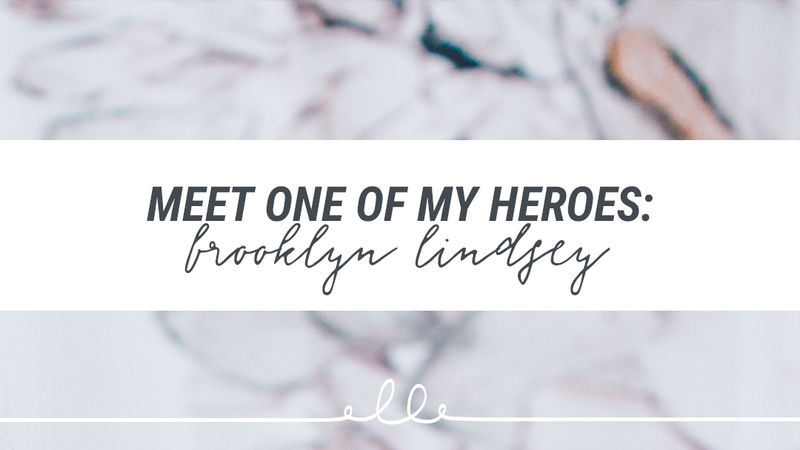 When I was younger, brand new to youth ministry, and trying to find my own voice, Brooklyn Lindsey was someone I paid attention to. And she was a leader. I don’t mean I wanted to write a million books, or speak on national stages, or plant a church, or do exactly the same kind of advocacy or community development work that Brooklyn was doing. I mean the heart stuff. I had never met Brooklyn, so I guess I could have been completely wrong about her. (Not everyone is as awesome in real life as they are on a platform, you know?) But with Brooklyn, I wanted my leadership to exhibit the qualities I was pretty sure I saw in her. Because Brooklyn led in a way that was so uniquely Brooklyn, she helped me believe I could lead in a way that was uniquely me — with no apologies about my personality, my perspective, my ideas, or my gender. We had never met, but when I saw Brooklyn leading, I knew I could lead too. And then one day, out of the blue, I got a message. It was from Brooklyn Lindsey. She said hi, and could we connect, and that she thought she and I might be “made of the same stuff.” There’s a lot I could say about how it felt to hear those words from someone I admired so much (especially when I was still trying to figure out who I was and what exactly I was made of), or how Brooklyn models inclusive and selfless and collaborative leadership, or how I want to be the kind of person who calls things out of people the way I watch Brooklyn call things out of others — but I have another point I’m trying to make right now. Two really important things have happened in the seven years since Brooklyn sent me that first message. 1. I got to know Brooklyn better. These days, I spend a lot of time talking with Brooklyn, which is great, because you tend to become like the people you spend the most time with. And I’ll tell you this — she is exactly the kind of human being I used to believe and hope she was from a distance. Even better, actually. Funnier, deeper, weirder, kinder. She’s one of the best people I know. But now here’s the really fun part — the part I’m so excited to share with you. 2. Brooklyn is teaming up with Stuff You Can Use! Brooklyn has started making things with us, hosting podcasts with us, creating kids and youth curriculum with us, helping us get better at what we do, and joining forces with us to do more of the things the Stuff You Can Use team already loves to do: making stuff that makes ministry easier for church leaders. 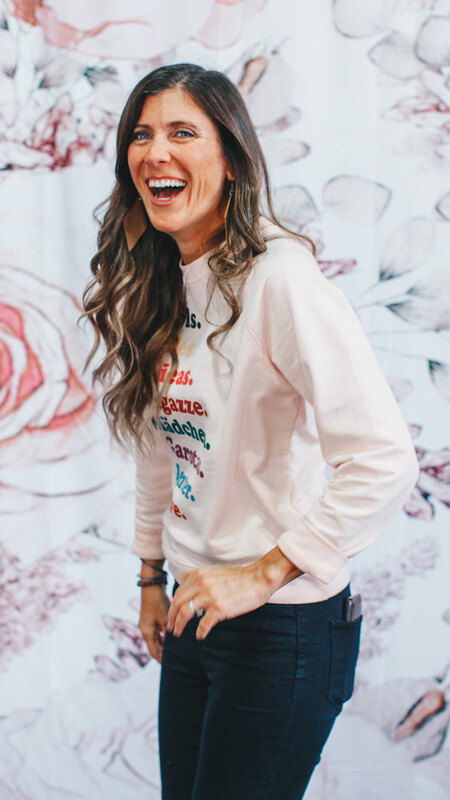 For starters, you can hear more from Brooklyn on the newest episode of Youth Ministry Answers, but in addition to the work she’s doing with Stuff You Can Use, Brooklyn is also . . .
preaching and volunteering at Somos, the church she and her husband planted. co-leading SheGrows, an intergenerational conference for girls and women she launched. maybe even authoring a new book or two! If you don’t already know Brooklyn, I’m so excited for you to get to know her. And if you, like me, have already been shaped by Brooklyn’s voice, presence, and leadership — well, I guess I’m just here to confirm for you that she is every bit as awesome as you probably already think she is. I’m so excited she decided to partner with our team. And I can’t wait for you to see all of the things she’s been dreaming up. You’re going to love learning from Brooklyn — I already do.